Countries in South East Asia are continuing to make it easier for travelers to visit. Cambodia introduced eVisa in addition to existing Visa on Arrival, so you can obtain your visa online and prior to arrival, reducing the time you spend in the airport for a small fee. Find out who is eligible for the Cambodia eVisa, how to apply and how much time to receive the eVisa below! Cambodia offers some of the most amazing historic sites in the world with the stunning temples of Angkor Wat, beautiful beaches around Shanoukville and a bustling capital, Phnom Penh. Tourism is growing, with more than 10 million international passengers at the three international airports last year and Cambodia is making it easier for them. Eligibility: Visitors from all countries with the exception of nationals from Afghanistan, Algeria, Bangladesh, Iran, Iraq, Pakistan, Saudi Arabia, Sri Lanka, Sudan and Syria, can receive a Visa on Arrival. If you are arriving via the international airports at Phnom Penh, Siem Reap or Sihanoukville, as well as key land border crossing, you can apply for the eVisa online. Application Process: You can apply directly on the offical Cambodia eVisa website – there is no need to pay an agent (who will come up first in a Google search!). The eVisa application is easy enough. You have to pass a security check, then provide key personal information about you and your travel documents. You need to upload a copy of your passport and a recent passport photo, so make sure to have those handy when you start your application. You are able to pay online by credit card and receive an email confirmation immediately. The email includes your application number as well as a link to check the status of your application. Once your eVisa has been approved, you will receive a pdf file of the visa. You need to bring two printed copies of the visa, one for immigration to keep on entry and one for you to keep for your stay, to be collected on departure. I didn’t read the instructions carefully (oohps) and only brought one copy, but there was no issue at the border and I printed another copy after my arrival to have with me during my stay in Cambodia. eVisa fee & timing: The eVisa costs $30 plus a processing fee of $6. The payment worked seamlessly in my case and accepted my credit card without issues. The website states a processing time of 3 days. In my case, it only took 7 minutes from application to receiving the eVisa. In the case of some family members applying, it took more than three days. It could be due to the fact that I have traveled several times to Cambodia previously, so I suggest to apply with plenty of time prior to your arrival! Bottomline: the Cambodia eVisa takes only a few minutes to complete online, saving you a wait of 30-45 minutes at the airport for a processing fee of $6 – that was worth it for my time. The web site works well and the process is clearly described. The ability to upload documents and pay by credit card makes it convenient. Tourism research has shown that reducing the entry hassles will increase tourism arrivals and I appreciate this easier process. Let’s hope that Cambodia will eventually follow the example of Thailand, Indonesia and recently Vietnam to eliminate the need for a visa altogether. 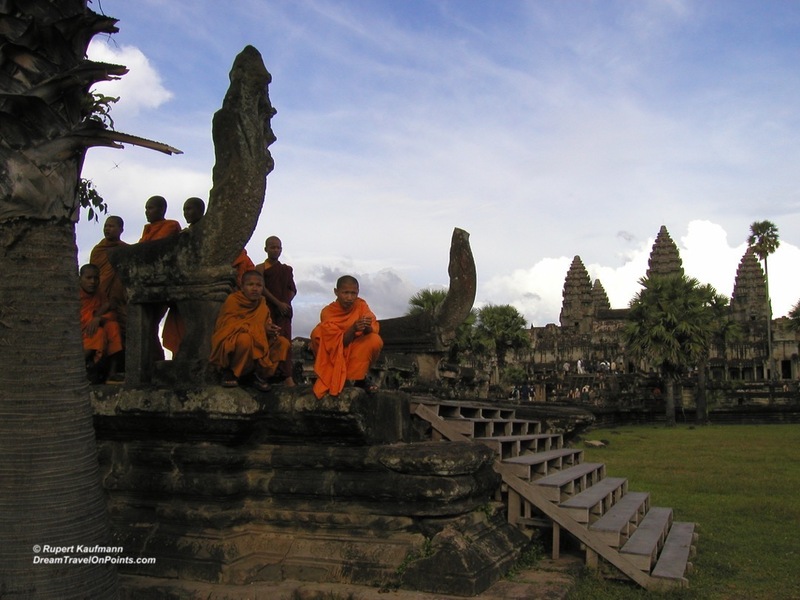 Until then, you can apply for the Cambodia eVisa here! If you’d like to get more travel related news or deals like this from around the world, please follow me on Twitter – I’m posting news daily, so you can stay up to date on the world of travel with my Twitter updates! Or, for a weekly update, sign up for my newsletter for a Sunday Summary!